Heather practices veterinary medicine as the owner of Haw Creek Animal hospital in Asheville, North Carolina. She received her B.S. in Animal Science from the University of New Hampshire and her DVM from the Tufts University School of Veterinary Medicine. She integrates alternative and complementary modalities with conventional Western medicine approach in her practice. She is passionate about animal welfare and provides safety, love, and food for a large number of rescue animals, within her home and her hospital, and provides pro bono care to cats and dogs while traveling in developing countries. 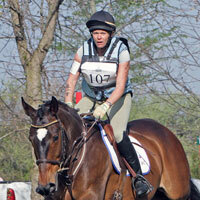 Heather is also an accomplished equestrian, and competes in three-day eventing and dressage. You'd be surprised to learn that ... even though she is insistent on excellent and up-to-date diagnostic techniques in her hospitals, Heather is unsure of her own blood type.